The latest figures include 39% who Strongly Approve of the job Trump is doing and 39% who Strongly Disapprove. This gives him a Presidential Approval Index rating of 0. Even more interesting, at the same point in his presidency, Obama was only at 50%. Evidence that Trump's cult of ignorant, uneducated, racist, white supremacist worshippers might be growing. Barely able to read, but maybe they have heard enough times about jobs, the market, etc. 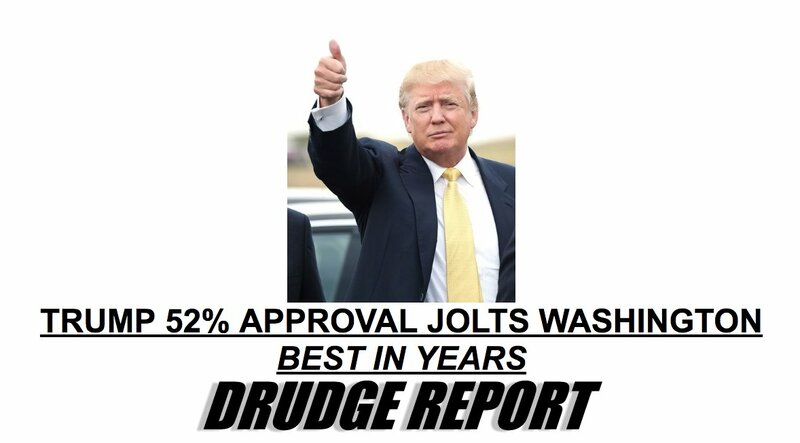 And it is possible they have enough common sense to ask: "Compared to what?-when the moving picture news shows all the goofy people calling themselves democrats, "socialists, etc"
Lately their globe ain't been warming, and Trump still seems like he is on Americans' side, not them outsiders. A group of vocal Trump haters have moved over to his side lately. People are wising up that he isn't the disaster that he was billed as. Quite the opposite. Yeppers, the 'Fragile Masculinity' crowd is now awake! Oh, I am going to need some ice for the bruises. Of course I have always said when Trump does good I will say so. Not to burst the bubble but still reserve the right to call him out when I disagree. We’ll see what happens over the compromise deal. It’s already dropped two points, today, after indications it would go through. Thankfully there are no elections soon. Page created in 0.697 seconds with 21 queries.